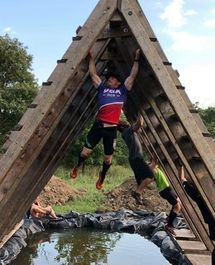 Conquer The Gauntlet Pro atheltes have been featured in lots of Obstacle Course Racing digital articles. They appear almost weekly on the largest most comprehensive and best OCR news website in the world Mud Run Guide. Plus, they even reach outside the OCR circle appearing on news websites and non-OCR fitness related websites. The actual list is too comprehensive to collect all of them, but here is a sampling. Our female atheltes were featured heavily in Charity Fick's "Badass Women of OCR" series, which highlights the accomplishments of women in OCR both on and off the race course. Our athletes regularly appear in a gear reviews and race reviews from other brands. Below is a sampling of some of those online articles. Name and link for the article provided as well as which CTG Pro Team athlete or athletes appear in each. Athlete profile featuring CTG Pro Team's Brenna "Red Beast" Calvert on Dirt In Your Skirt, owned by Margaret Schlacther. Interview conducted by RockTape highlighting their support to CTG Pro Team's male endurance athlete Evan Perperis. 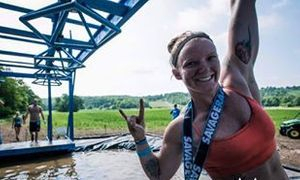 Endurance sports website highlighting news from recent races which featured the names of top finishers including Brenna Calvert .for her performance at BattleFrog Houston. Folds of Honor provides scholarships to children whose parents were wounded or killed in military service. Thanks to the support of Conquer The Gauntlet, Team sponsors and the CTG Pro Team, we've collectively raised more than $10,000+ for the charity through multiple events. The leader's in hybrid training Complete Human Nutrition (CHP) has published articles with several of the CTG Pro Team athletes shown. 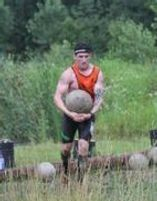 CTG Pro Team athletes occasionally appear in Obstacle Racing Media's website.